An immaculate property comprising a six bedroom farmhouse alongside a beautifully converted three bedroom steading, The Garrauld at Balfron Station presents itself as an idyllic family home and successful holiday cottage business. This impressive, period property is on sale with leading Scottish property consultants, CKD Galbraith. The Garrauld is a stylish residence set in rural Stirlingshire, at the heart of some of Scotland's most stunning countryside. An impressive range of cultural and leisure opportunities lie within close reach of the property, not least within the beauty of the nearby Loch Lomond and the Trossachs National Park. However, with Stirling and Glasgow both within 20 miles, the benefits of town and city are also close at hand. At the property, the dwellings comprise two main areas the main farmhouse and the converted steading. Although the two properties are attached, there is scope for minor changes to be carried out that will allow the properties to be held as separate lots. The farmhouse is a Victorian property, set within a wealth of picturesque grounds. 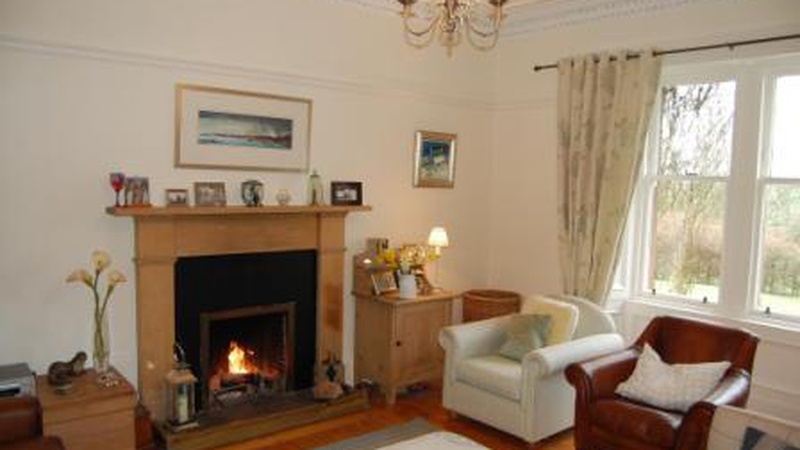 The welcoming entrance and hallway leads onto two of the most homely rooms, namely the delightful living room and the cosy drawing room, with its open fire and large sash windows. Beyond this, the large L-shaped kitchen is perfect for family living and contains a number of wonderful touches, including an oil fired Aga, that complement the country style of this space. The ground floor also contains two further rooms at the rear - a nicely sized study plus a useful utility room. Next to these rooms is an impressive staircase that leads to the upper floor a level that is home to a bathroom, five bedrooms as well as a small store room. 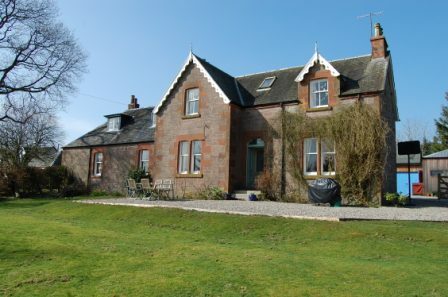 The steading, meanwhile, is currently used for a successful self-catering holiday business. The luxury three bedroom property has been awarded a four star rating by VisitScotland and if they choose to do so, the new owners would be able to maintain this business and associated revenue streams. Despite being attached to the farmhouse, the steading is orientated in such a way to preserve the complete privacy of both properties. Internally, the steading has been beautifully finished and offers accommodation over two levels extending to about 112 sqm. 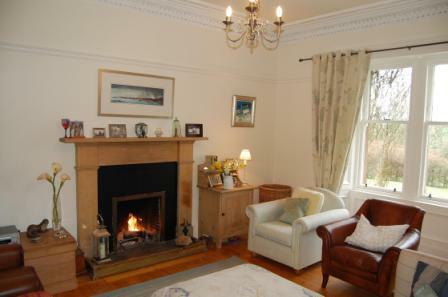 Moving outside, the mature and well maintained grounds extend to approximately 1.2 acres. The land provides the perfect setting for the property and is also the location for several outbuildings for The Garrauld, with conversion potential contained within a number of these structures. Dominic Wedderburn, who is handling the sale from our Stirling office, said: "The Garrauld offers the discerning purchaser the opportunity to acquire a fantastic family house accompanied by a successful holiday lettings business. "The location of The Garrauld is perfect for a buyer looking for the ideal of rural living with advantages of town and city nearby. The quality, style and characteristics of the property are much sought after, with homes of this calibre rarely available on the market, and we expect the property and associated business to attract substantial interest." The Garrauld is for sale as a whole for offers over 790,000. Alternatively, the properties are available in lots, with the farmhouse marketed at offers over 495,000 and the steading at offers over 295,000. To find out more please get in touch with Dominic Wedderburn in our Stirling office or download the schedule.